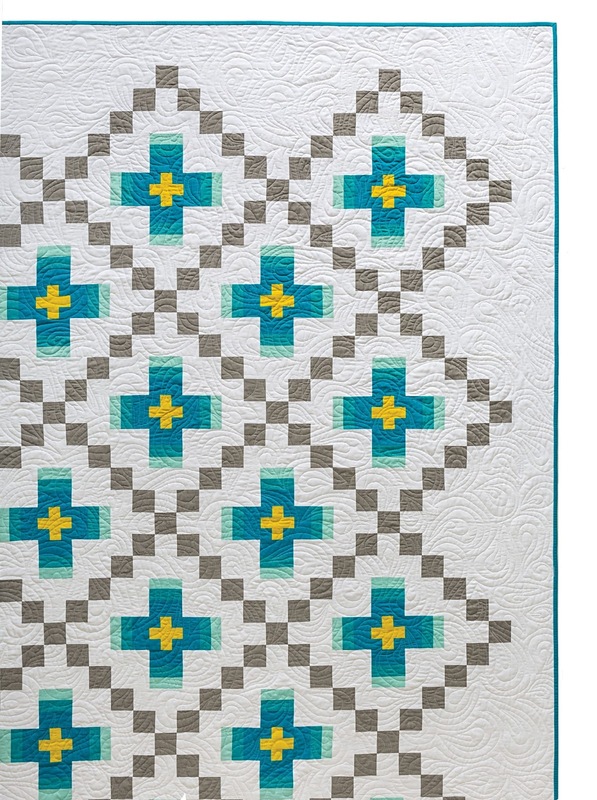 This week flew by and today we are sharing 2 more from Modern Plus Sign Quilts, Row Addition and Transparency Chains. Plus...enter to win some FreeSpirit charm packs. Need a fast baby quilt? Row Addition is the answer. 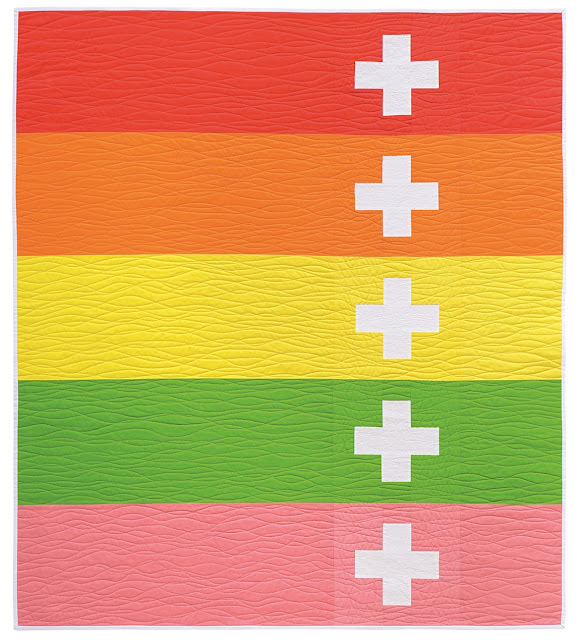 You'll need only 5 solids (or prints) and a contrasting fabric for the plus sign quilts and you are in business. Cheryl used beautiful Cotton Supreme Solids by RJR Fabrics for this version of Row Addition and quilted it in gentle wavy lines. Next up is one of my favorites from the book, Transparency Chains. I've never made an Irish Chain quilt and this one should be on the top of my list to make. Transparency Chains is made from Cirrus Solids by Cloud9 Fabrics. Strip piecing makes the piecing a breeze. 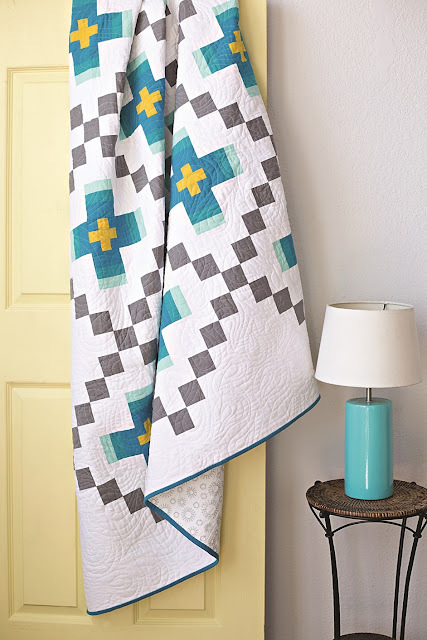 Thank you for stopping by for the 1st week of the Modern Plus Sign Quilts Blog Hop. Join us back on Monday, the 19th were we will show 8 more quilts from the book. Now, on to today's giveaway, 2 FreeSpirit Fabrics charm packs. I have so enjoyed seeing all the different versions of the patterns, so inspirational. I can hardly wait to see what comes next. Again so much fun. I loved seeing how Ruth played around with the Irish Chain quilt. 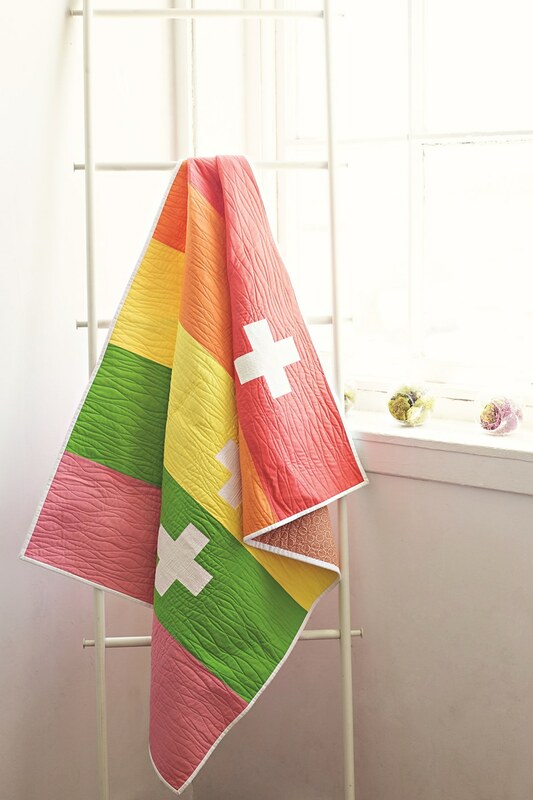 Another great day of inspiration and beautiful quilts! Thanks for all your hard work ! Your Row Addition quilt turned out great! !